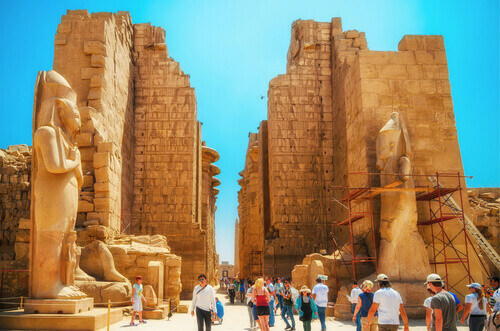 Despite its construction dating back to 1400 BC, Luxor Temple owes its unique architecture to several eras. 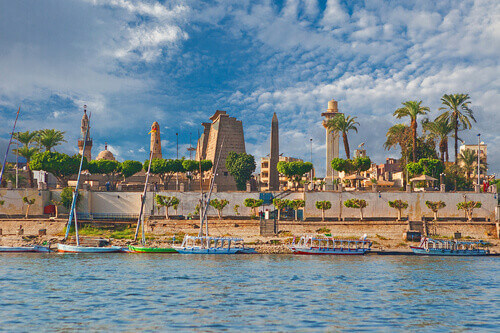 A fortified compound located on the east bank of the Nile, it sits at the heart of Luxor’s old town and is accessible by ferry – a dock is located opposite its main entrance and travelling across the Nile for a visit costs just E£1.80 (AU$0.15). If you’re staying in Luxor then you have the option of making your way on foot or flagging down one of the city’s microbuses and paying a E£3.70 (AU$0.30) fare. Guided tours are available and priced at about AU$35, but many visitors allocate two to three hours for exploring unaided. Wander through courtyards and past columns to discover carvings on walls and chambers that display the crests and iconography that define different rulers. One that towers above all else is the 24m high first pylon, originally part of a pair that honoured Ramses II and depicts his military victories. 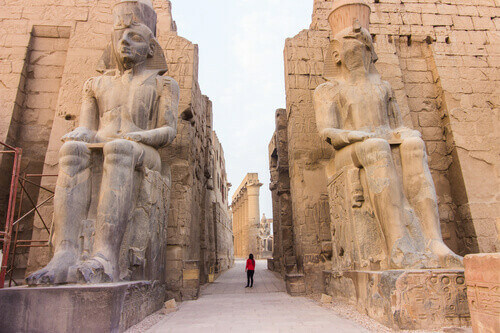 As with many of Luxor Temple’s attractions, it is illuminated with low-angle lighting as darkness falls, making Luxor Temple a popular tourist attraction throughout the day and into the night. While its opening hours vary with the seasons, expect it to stay open until 10 pm. All of which should leave enough time to explore the site’s Roman and Muslim heritage, too. The former further fortified the site’s layout during the 3rd century AD, with some paintings of its own leaders surviving from that era, including one of Alexander the Great as an Egyptian pharaoh. Fast forward to the 14th century and the Abu Haggag Mosque was built upon the temple’s ruins and still survives in its first court, its three marble domes a stark contrast to the sandstone that surrounds it. 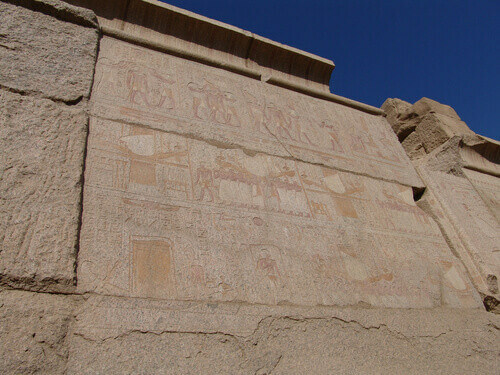 More good news is that the site’s central location in Luxor makes it easy to stay fed and watered. Try the family-owned Ramesseum Rest House for a lunch and some local history. 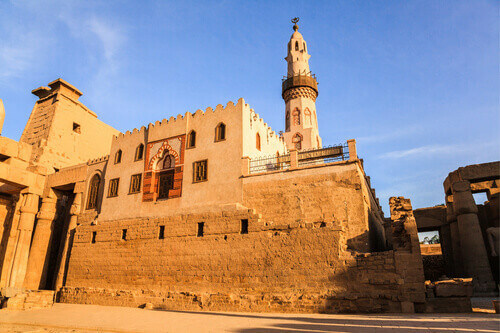 If you’d like to watch the sun set on Luxor Temple while you dine then head to the Al-Sahaby Lane Restaurant to end your day with a rooftop platter fit for a king.